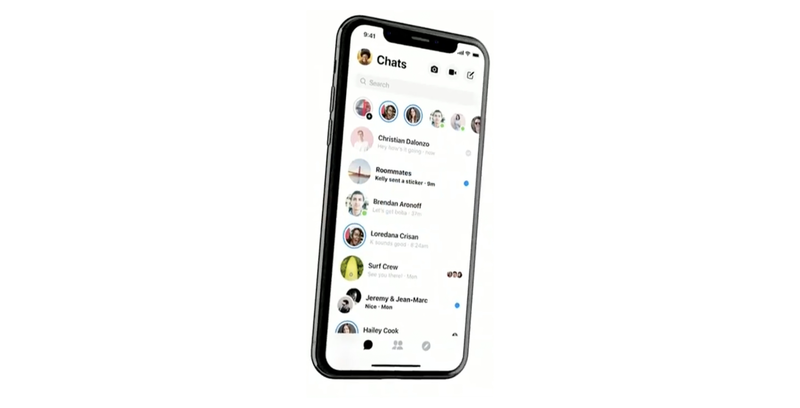 Facebook announced a redesign for their popular Messenger service at today’s F8 conference in San Jose, California. The goal is a simpler, cleaner chat experience. This comes after years of adding extra features to Messenger that bloated the app and confused the user experience. Quick and easy is the motto here. “When you’re messaging, you really want a simple and fast experience,” said CEO Mark Zuckerberg during the conference. To achieve this, Facebook is simplifying the application. The bottom navigation bar is getting trimmed down to just three communication-focused options. Photo and video options have been moved up to the top right, above Stories. The Games tab is gone as well. Beyond just tightening up the visuals, Facebook is adding new colours and customization for chats on the platform. 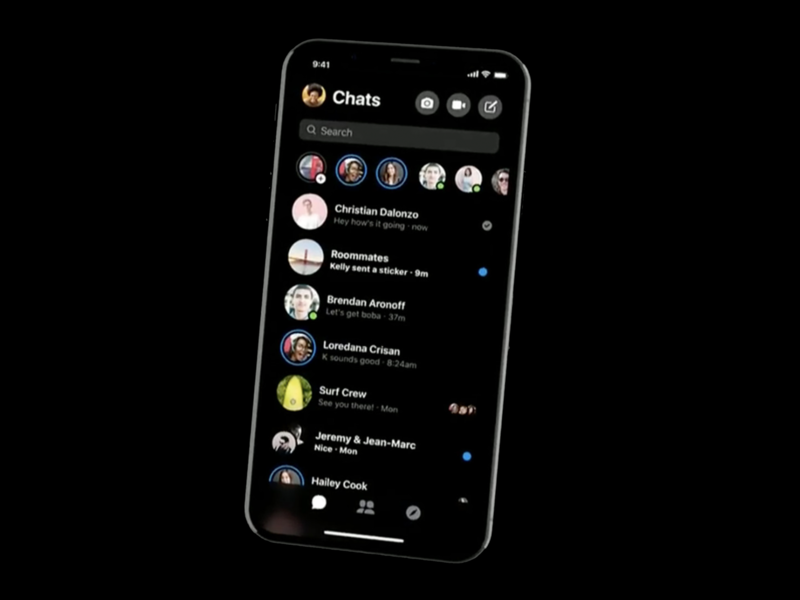 Messenger is also getting a dark mode. They showed off message effects similar to what Apple offers on iMessage in their sneak preview of the redesign. On top of that, Facebook is expanding some key features of Messenger in a bid to make it more streamlined. Their virtual chat assistant, M, is getting translation features baked into the Messenger app. The feature will support just English and Spanish at first and will be rolling out in the U.S. initially. Facebook will add more languages later. Along with all this, Facebook has announced some impressive numbers related to Messenger. In 2018, Messenger helped customers and businesses communicate through 8 billion messages sent every month. Business is a core part of the Messenger platform now and Facebook is launching augmented reality features to help businesses and brands show off products. Facebook demonstrated this at F8 with an AR shoe launch partnered with Nike.